Gardening is fun in lots of ways, but one of my favorites is finding the unusual or peculiar among the harvest. Show them to my kids and peels of laughter or ooh’s and aahs’ find their way to my ears. 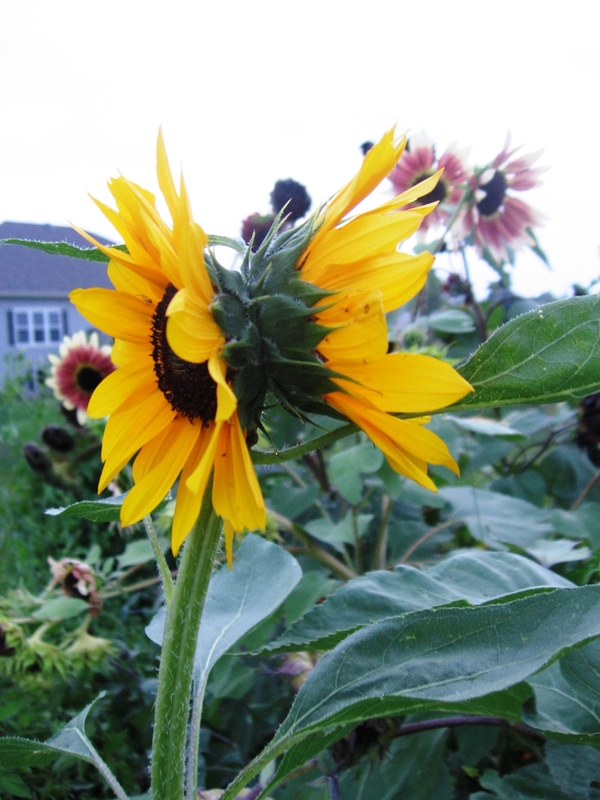 This summer we found a two-headed sunflower (my favorite this year), a dahlia flower that was half red and half white – split down the center, a pepper with an obvious deformity, and numerous tomatoes with odd growths. 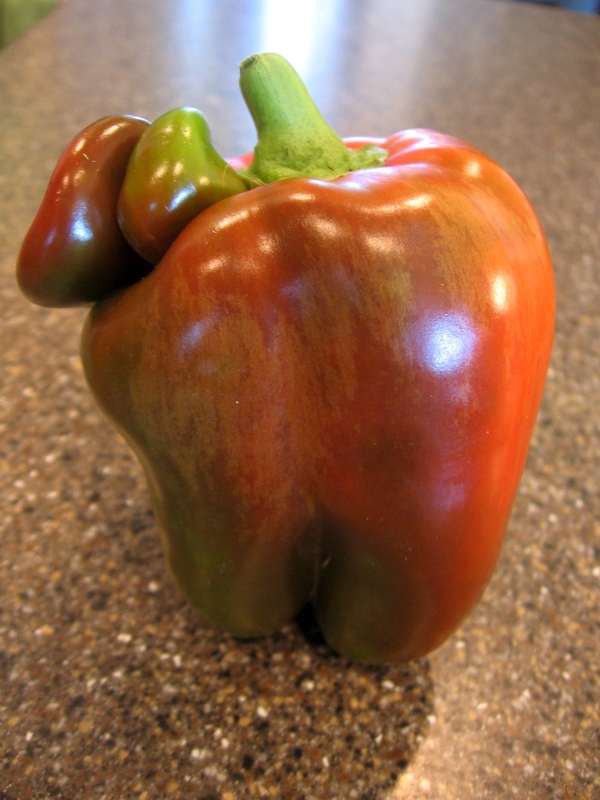 While these are fun to look at, when it comes down to it, they’re still what they were made to be – the pepper was still a pepper, the tomato a tomato, and the sunflower a sunflower. They just looked a little different, but inside they’re the same as the perfect looking one right next to them. It’s a good reminder to me how we, as humans, are pretty much the same regardless of how we look or appear to others. After all, we’re all made in God’s image. And that’s pretty cool. 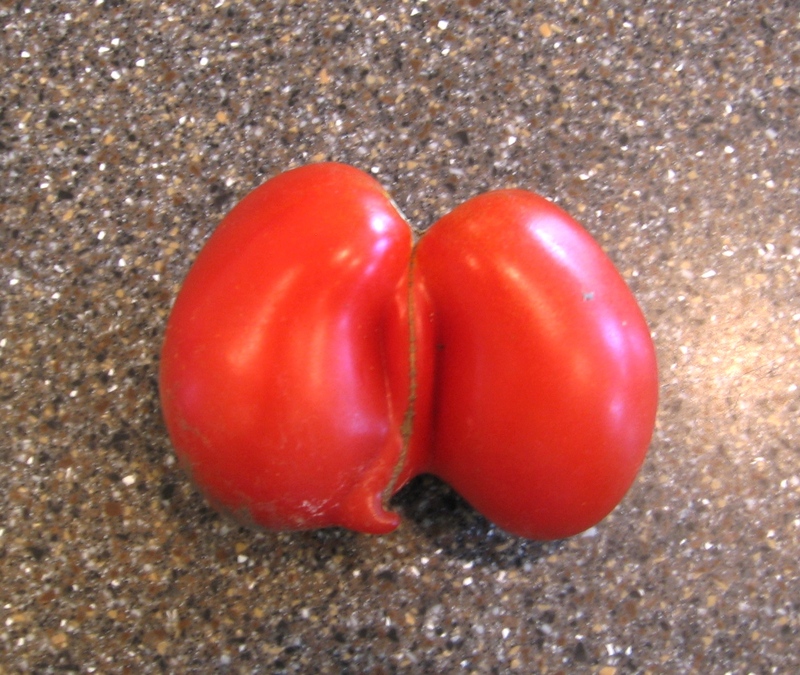 So back to my funny looking produce – while I didn’t get photos of all of the them, I did take a few, and hope you enjoy them. I know others have seen some of the same things I have. So if you have a favorite oddity you’ve found in your garden, let me know! Post a link to it in your comment if you have a photo (keep it clean please). Should be fun to see. I sit here writing as the sweet scent of tuberose fills the room. Some in my family think it’s quite overpowering, too heavy a scent. But I like it. It reminds me of my mom. 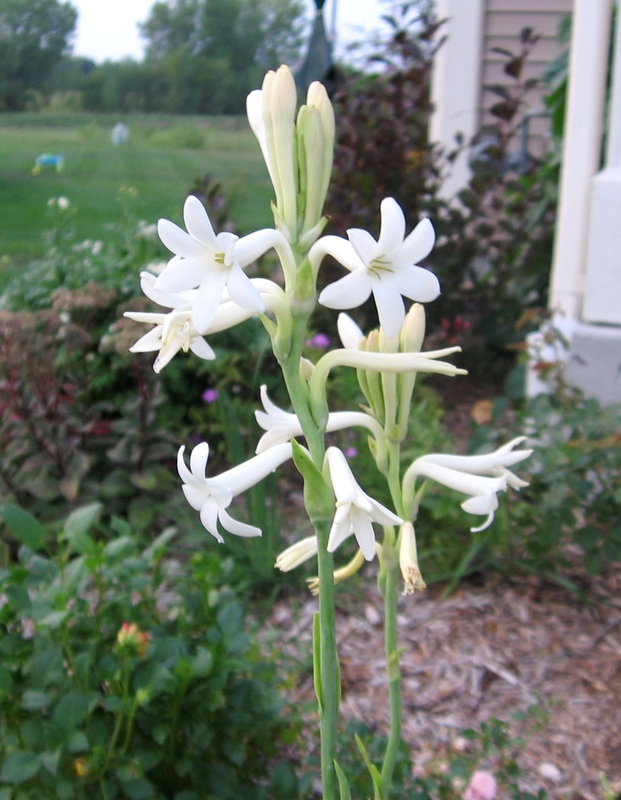 You see, this tuberose was my mom’s. She was passionate about gardening, spending more time in the summer sunshine than most people ever do. 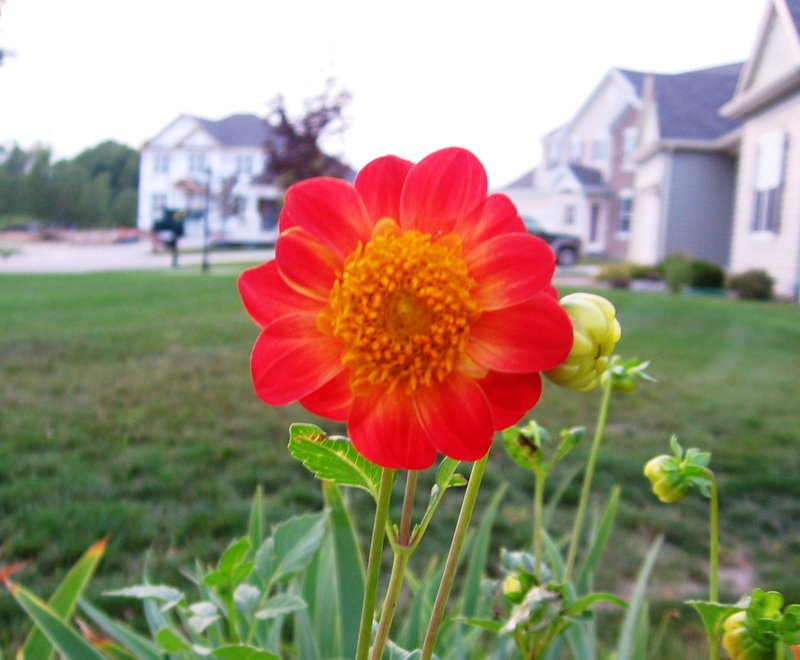 Her green thumb was deep-rooted, and plants of all kinds flourished under her care. But I think her real love was flowers. That’s why the tuberose reminds me of her. 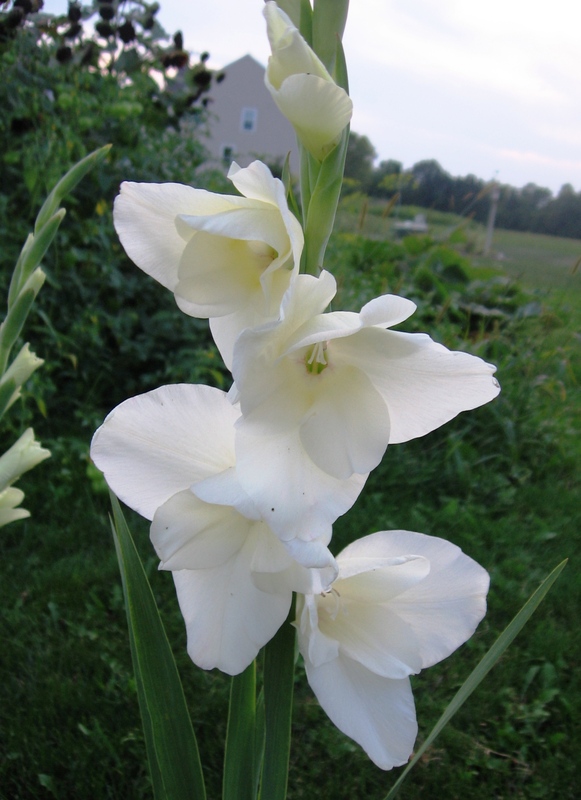 It was one of her gifts – something left of her that continues to produce heavenly scented white flowers even since her passing. Her green thumb stretches far. 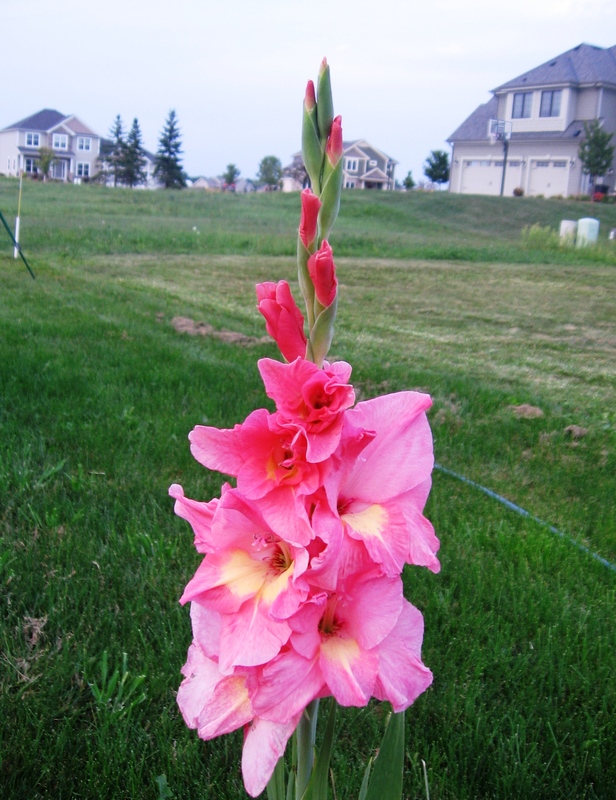 I have other flowering gifts from her that bring back memories every August. 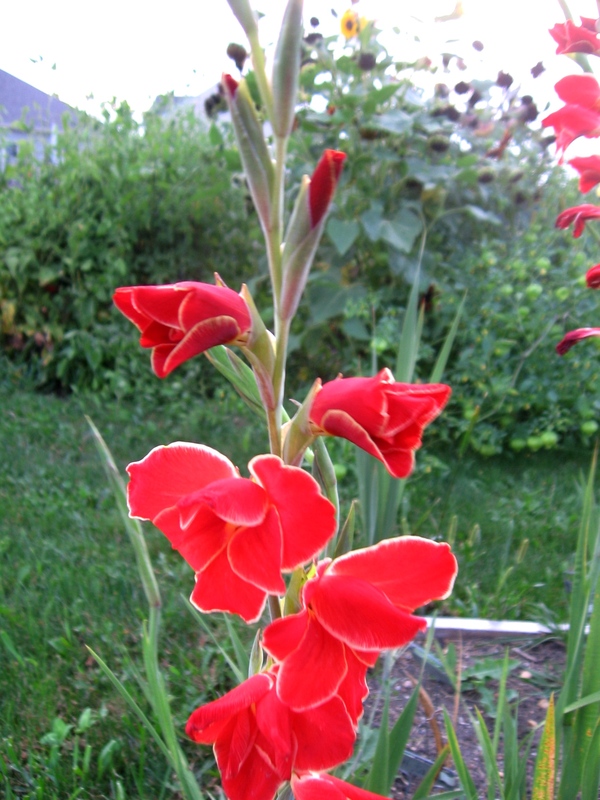 Gladioli flowers were one of her favorites, and in her prime she grew around 3500 or more glads. For a bulb that has to be planted each spring and dug up each fall . . . well, that’s pretty amazing for a small town gardener in my opinion. I have fond memories of walking through her garden as a little child, finding and eating ripe gooseberries, helping her at the county fair by filling with water the bottles that would hold her glads, sorting through more purple and blue ribbons than you’d ever know what to do with, and learning how to arrange attractive bouquets. Roses, lilacs, Peruvian daffodils, peonies, and dahlias are all gifts from her garden that I now have. But I think she left much more than tangible flowers and bulbs. Her passion passed on a love of the outdoors, of nature, of eating fresh picked vegetables from the garden, of staying active and healthy. These are gifts too. But even these are surpassed by other heartfelt, even more intangible, gifts. Memories are one. She also showed and gave me a reverence and love for God, love for her family, and commitment and love for her husband. Those are the lasting, intangible gifts . . . her legacy. And those gifts, those roots, run much deeper than even her green thumb. They run deep to the heart. Looking at those flowers now causes me to stop and reflect on my own family. What are my gifts, what’s my legacy to my loved ones? It’s something that I think is worthwhile to reflect upon. I hope and pray they will have a healthy lifestyle, cherished memories of time spent together, cuddles, hugs, and kisses, a relationship with and love for Jesus, and a love for others. That’s what I hope. Those are the gifts I want to give. You may not have a green thumb or a desire to stay healthy but you will leave gifts. And I wonder . . . what will your gifts be? What is your legacy?